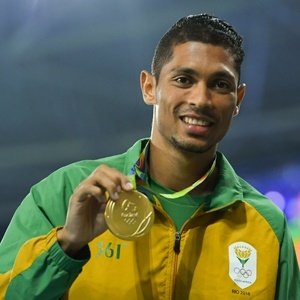 Cape Town - South Africa sprinter Wayde van Niekerk is "honoured" to have been nominated for this year's IAAF World Athlete of the Year award. Van Niekerk has been recognised once again for another incredible season, after being included among the three men's finalists. "It is such an honour to be recognised as a finalist again," he said. "Just to be mentioned alongside such amazing athletes is special. Congratulations and good luck to my fellow finalists." Van Niekerk is up against British distance runner Mo Farah, who secured the 10 000m gold and 5 000m silver at the World Championships, and world high jump champion Mutaz Essa Barshim of Qatar.